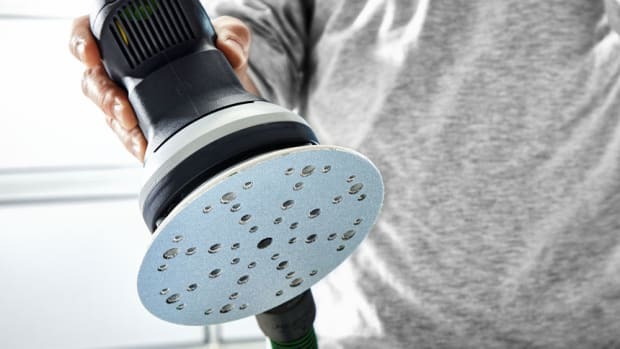 Festool has a new dust extraction accessory, the CT Cyclone, that separates and collects large particles before they enter the company’s portable vacuum units. 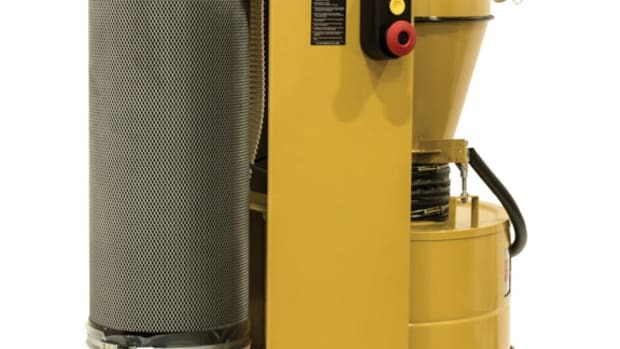 When used together, the CT Cyclone and CT Dust Extractor form a three-step filtration system for dust and debris, according to the company. 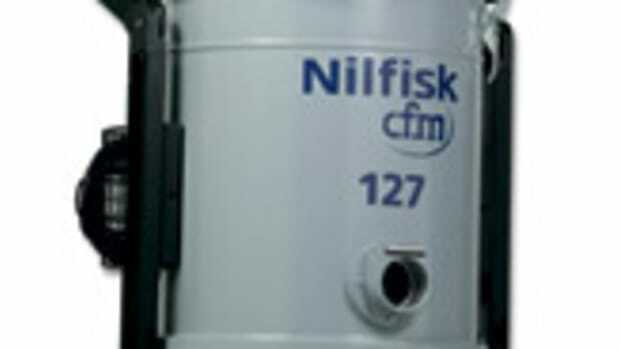 “The real value of it is that it expands the capacity of your vacuum and is very quick and easy to unload. 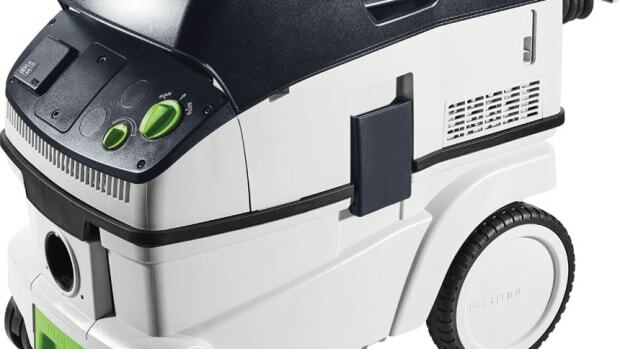 You don’t have to deal with a filter bag,” says Rick Bush, Festool’s director of product marketing. 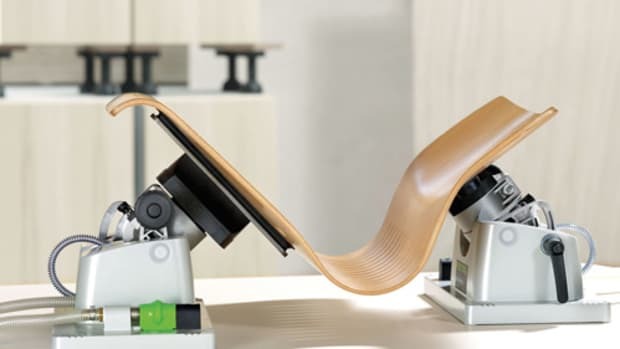 The CT Cyclone is a stackable collection container. 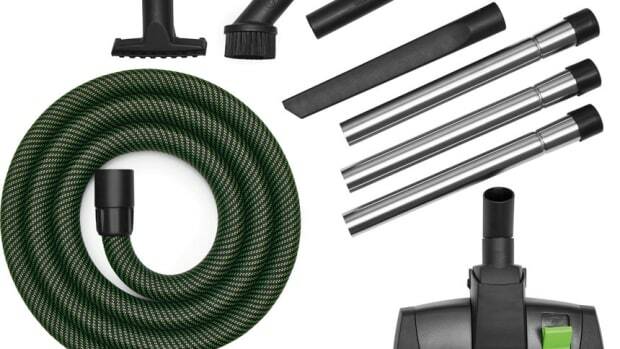 It is sold with a Systainer storage unit, collection container and pan, hose connector, and disposable dust liner for $375. 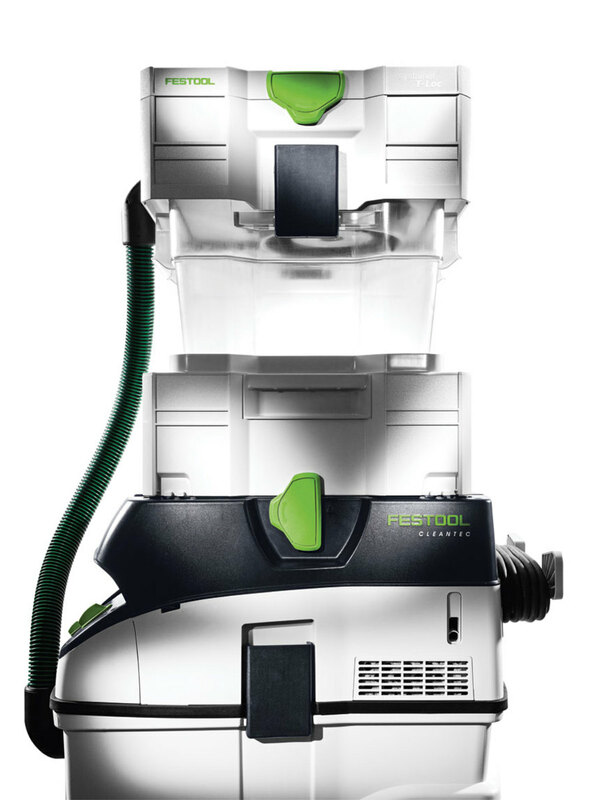 Festool has been busy updating seven models in its CT Dust Extractor line to improve their functionality. 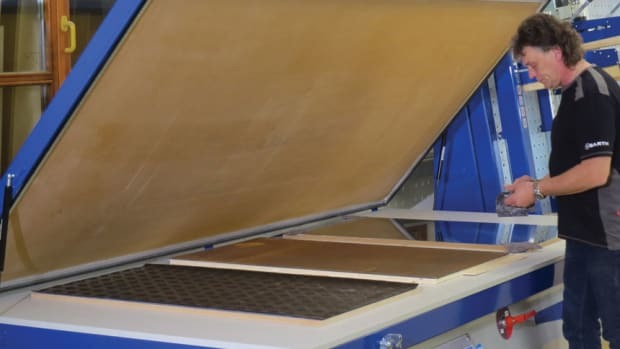 Martin Woodworking Machines is the exclusive North American distributor of the Corvus vacuum press VPL Series, a new machinery group from the Germany-based Barth brand. 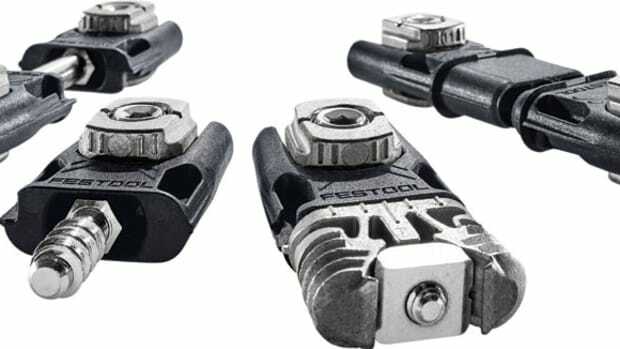 Festool offers a new knock-down connector, specifically aimed at cabinetmakers for reassembly at the job site. 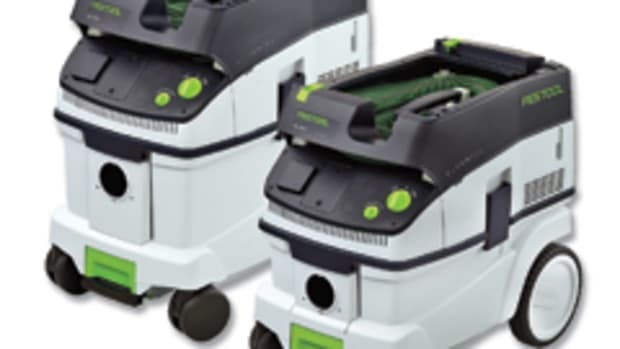 Festool’s roadshow hauler stood out as one of the more memorable exhibits at AWFS. It’s kind of hard to miss a giant truck, branded from stem to stern, Nascar style. Inside were a couple of newer tools, including the SE2 vacuum clamping module and STL 450 inspection light.